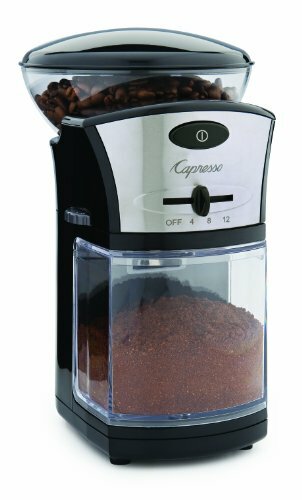 These coffee makers work on the concept of using pressurised water, forced through ground coffee to create an espresso style coffee extraction. This works through placing water in the bottom of the pot which is then heated, as the water is heated it creates steam. This steam builds pressure and forces the heated water through a funnel which holds your ground coffee finally to be delivered in the top reservoir waiting to be consumed. I thoroughly enjoy making coffee this way as I find it to be a very smooth and well rounded flavour, while being full bodied and strong. If you get the temperature correct it is very hard to get the extraction wrong which makes it perfect for home use compared to an espresso machine. The coffee produced by these is very rarely acidic or sour tasting which is also very enjoyable. The full flavour of the extraction means that it stands up very well to milk and creates a delicious latte or cappuccino, but its lack of acidity lends itself to being served as a short or long black - where in my experience even those who generally aren't coffee fans find themselves wanting seconds. These first appear to be a puzzle to operate and something that you might need a physics degree to use, however following a few simple steps will have you creating the perfect brew time after time. Start by filling the base of the pot with fresh, cold filtered water. You need to fill these to just below the release valve, no more or you could have an explosion. It is necessary to fill it to this point every time regardless of how many serves you want to make (this is why you may want to get a small pot if its usually just for one or two people). 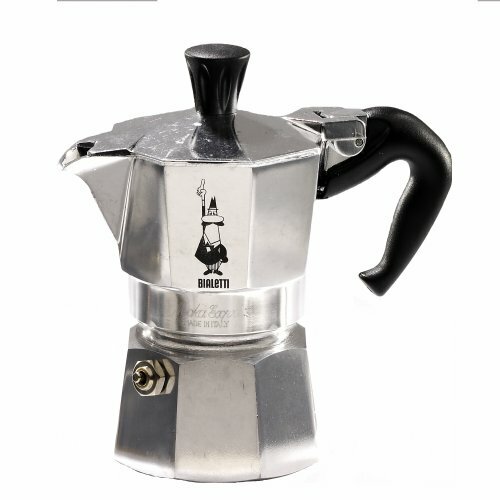 Place the funnel into the bottom compartment of the pot, the top of the funnel is where you place your freshly ground coffee (a little coarser than an espresso, but definitely finer than a drip or french press) fill this until it is level at the top. It is important to just spoon it in so it is loose, do not compress the coffee. 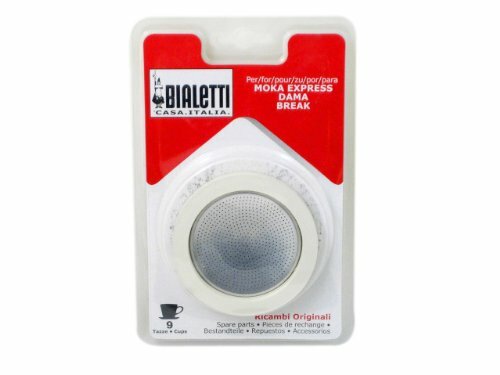 Then ensure that the filter and 'O' ring are in place at the bottom of the top compartment of the pot, this filters the grounds from the coffee and creates a seal to build pressure. You are ready to screw the top compartment onto the bottom, there is no need to make it super tight, just enough that it is secured and not loose. Now place your ready-to-go pot on to your stove-top, you should use a medium heat. If it is too hot the process will be too quick and will burn your coffee, to low and it will take forever. Ensure that the handle is not directly exposed to the heat source. Now wait, this process takes about 5 minutes while the water heats up, after it builds up pressure it is quick from here. Be nearby while this is happening. The coffee will start to filter through and gently be delivered into the top compartment, I like to leave it on the heat source until it is about 3/4 full, at which point I remove it from the heat and let it complete it's brewing. You may need to adjust this so it works for you - experiment until you find what works. Now it's all ready and you can enjoy your freshly brewed coffee. A little secret that I've heard around is that if you just gently clean the pot when your finished (enough to keep it clean of course) the coffee deposits settle into the pot making it like a well seasoned wok that will give you a complexity of flavours as it ages!! These aren't overly expensive to purchase - so what are you waiting for? Go give one a try today, you can thank me later.